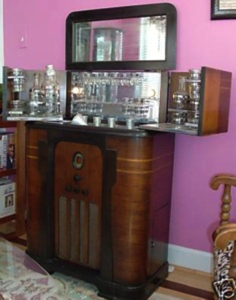 The 1936 model featured the Philco 60 as standard, and in 1937 the Philco 37-610. Both were 5 tube sets. 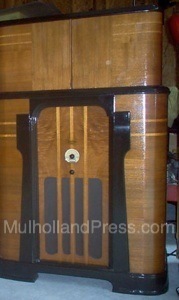 Other Philco chassis could be substituted. 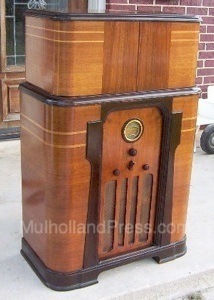 Complete, the cost was $177.50, and less radio the price was $135. 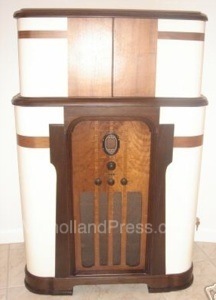 A white painted cabinet was optional. 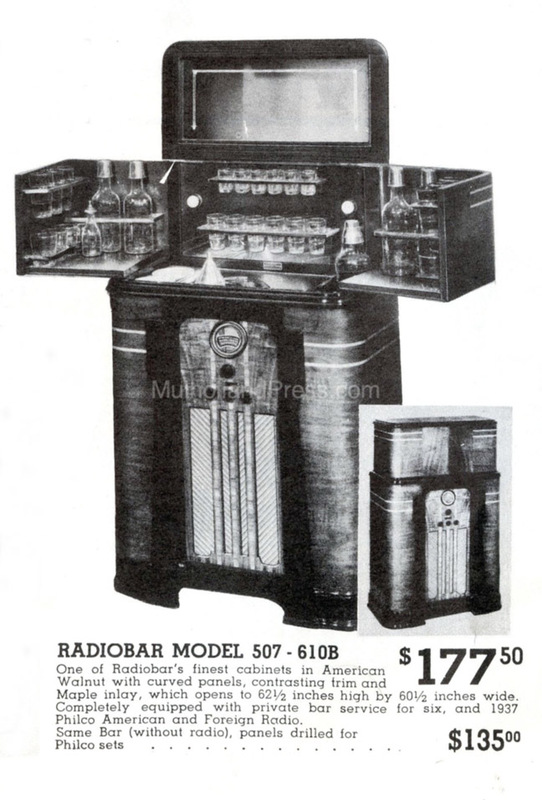 This appears to be the most popular of all Radiobar styles. 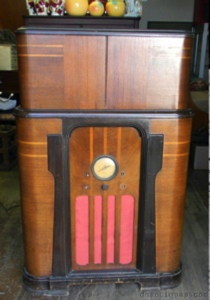 The cabinet featured American Walnut veneers with dark trim and Maple inlay and was 46” high, 30 1/2” wide and 15” deep closed. In open position the cabinet was 59” high and 53 1/2” wide. White finish was $10 extra.